Are you interested in exploring Scotland's NC500? The route includes some of the best scenery in the world and takes you around the very top of Scotland. This route is a dream to any Scottish travel blogger and I loved every minute of it. Here you'll find some of the best driving roads in Scotland. You'll also find deserted white sandy beaches, winding country roads, mighty dominating mountains, picturesque bridges, distilleries, breweries, sparse jurassic-like landscapes, pretty villages, fantastic wildlife and plenty of surprises. The route officially begins in Inverness, at Inverness Castle. You can chose to head west to complete the route clockwise, or head north and complete it anti-clockwise. I chose clockwise but will definitely go the other way next time. You can pick up a paper map at the Visit Scotland shop beside the castle. I recommend you do this as, because it isn't a designated road, instead it's a series of roads, your SatNav won't take you along the correct route. You can have a look on the North Coast 500 website and familiarise yourself with the route beforehand. TIP - Take a spare copy of the paper map because the first one will end up torn and coffee stained and it's nice to take one home as a wee reminder. How many days should I take to do the NC500? ​When is the best time to do the NC500? The North Coast 500 route is a series of roads which form a loop, circling the northern coastline of Scotland, beginning and ending in Inverness. The roads already existed before the route was created, and locals have toured these roads for many years but the act of linking these roads together and branding them as a single route have grabbed the attention of road trippers across the globe. It has been compared to Route 66 in the states but, other than both being amazing routes with beautiful scenery they actually aren't similar at all. 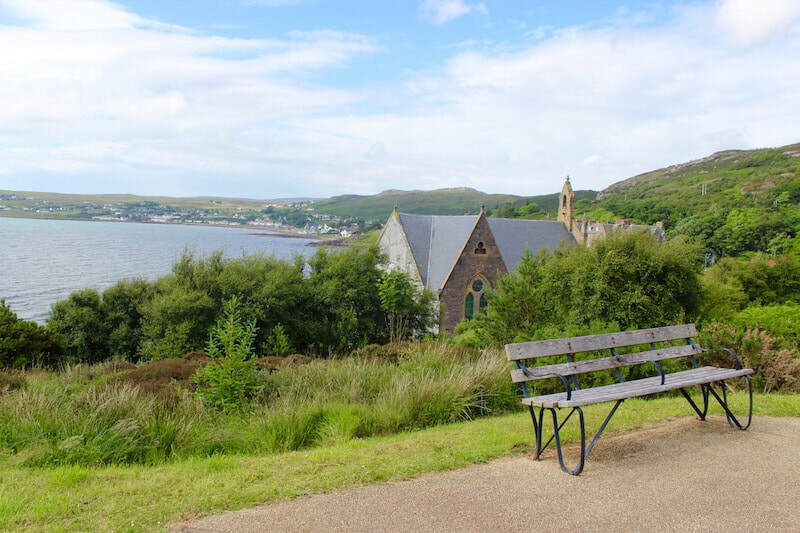 There aren't any massive cities around the NC500 but the main towns of Inverness, Ullapool, Durness, Thurso and Wick will likely have everything you might need. 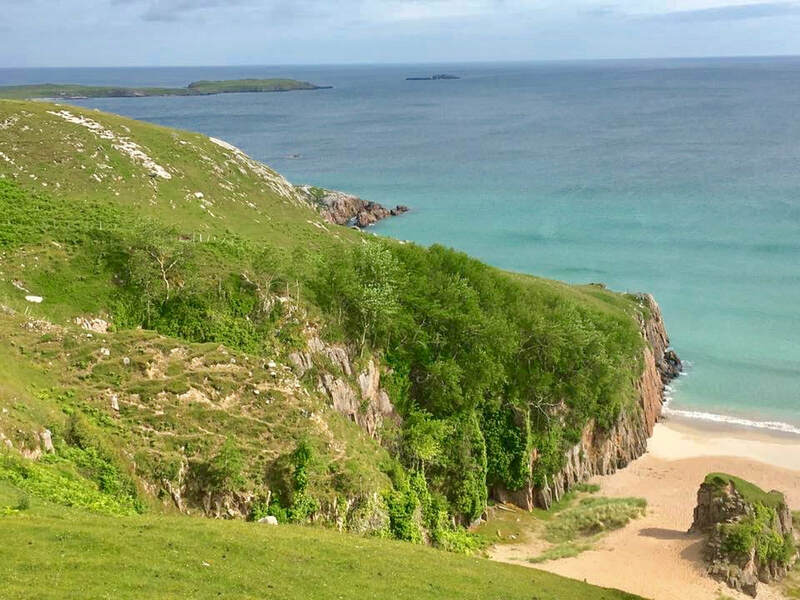 The route is officially 516 miles, although if you want to do the route justice you are likely to do a lot more as you'll want to take detours to find those fantastic views and hidden beaches. The NC500 passes through six regions of Scotland - Inverness-shire, Wester Ross, Easter Ross, Sutherland, Caithness and The Black Isle. Each region offers something different. 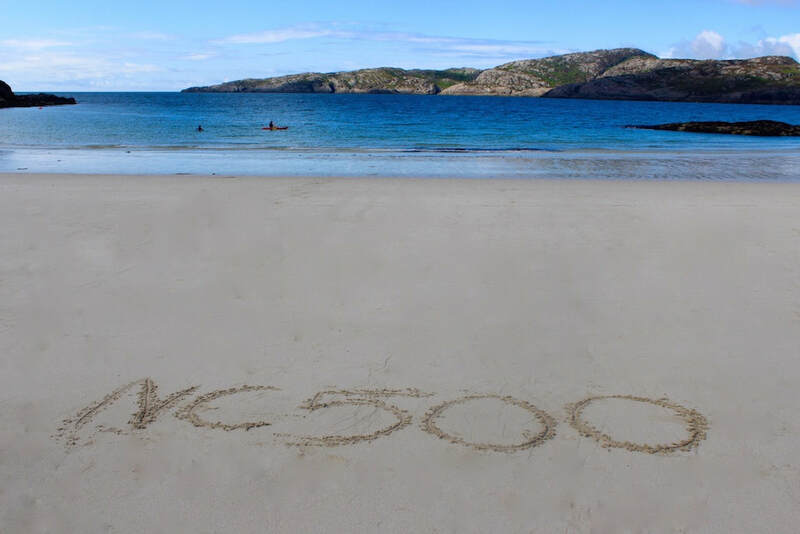 The official North Coast 500 website recommends five days, and that would give you time to see some of the sites but I personally would take even longer. If you had 5 overnight stays and stayed in each for 2 nights that would make 10 nights. That would be my ideal duration. When is the best time to do the NC500? Scotland's weather can be unpredictable, most of the time. Four seasons in a day? Try four seasons in an hour. It can be difficult to say when the ideal time would be but there are times where you are more likely to have good weather and there are definitely times where you shouldn't attempt it. Because of the recent popularity of the North Coast 500 the summer months, from June to August, can be busy. These roads were never built with the intention of being able to carry queues of traffic, some are single track, with tight corners and steep drops. 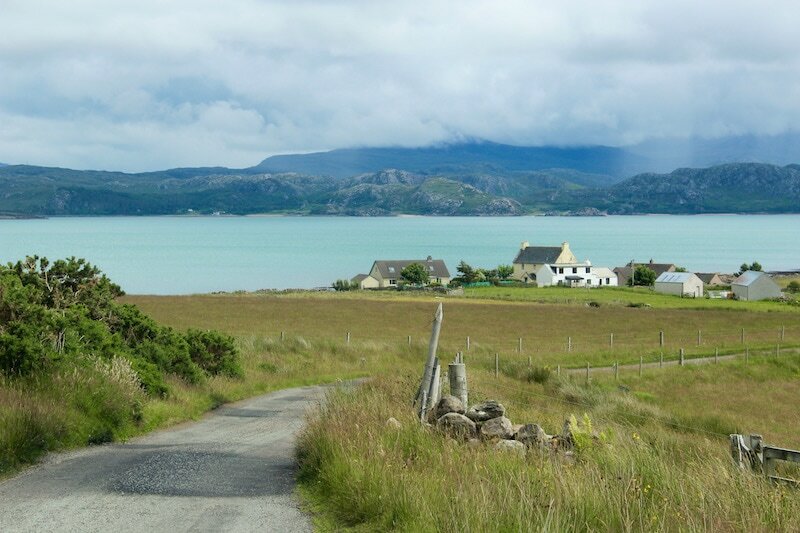 Some pass through quiet, sleepy villages and some take you high through mountain ranges and along the edge of lochs. I've driven these roads in the height of summer and it's not particularly fun, being stuck behind a massive American RV or a vintage camper with 5 cars in front and a stream of cars behind. If I was to do the route again I'd much prefer early spring or Autumn. April and May will be quieter, as will September and October. If you want the best chance of lovely warm weather by all means go in the summer but just be prepared for a bit more traffic on the roads and a bit less availability when it comes to booking accommodation. It's not recommended you drive the NC500 in the depth of winter. You can, especially if you live in the UK and are keeping tabs on the upcoming weather so can judge what the roads are likely to be like but if you are flying in from abroad it's a much safer bet to avoid winter. Many of the roads can close if we get heavy snow or ice and as the roads aren't busy during the winter they are less likely to be gritted regularly. Also many of the shops and attractions close during the winter months, or have reduced winter hours. It can also be really bloody cold! Looking to do a tour while you are in Scotland? How about one of these? 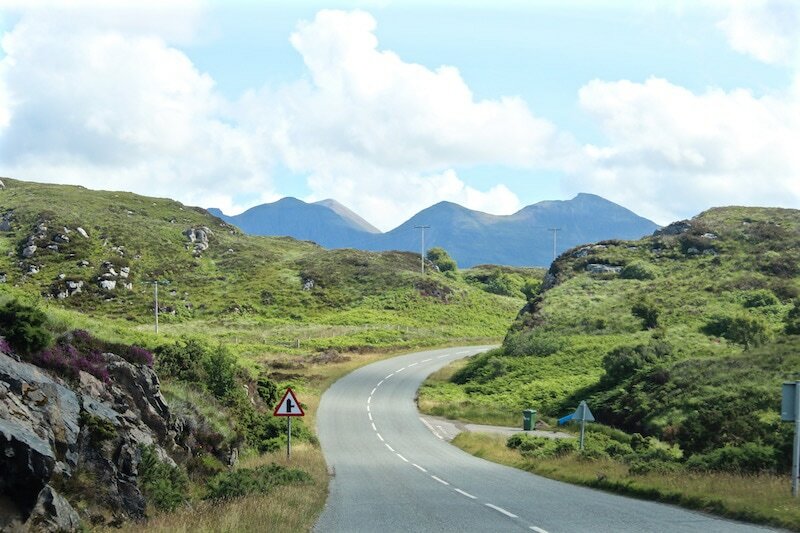 The easiest way to get yourself around the NC500 is by driving yourself and the beauty of this road trip is you can decide where you want to stop for lunch, stay overnight and the distance you drive every day. Once you have chosen how long you want to spend on the route your next step is to decide how long you want to drive each day, or alternatively you can have a look at the map online, get a rough idea of the areas you want to stay overnight, then double check the distance between them are drivable. Take into account attractions you want to see and the opening times, and also what time it begins to get dark. In the summer it doesn't get dark until late evening, anything from 9pm to almost midnight, depending on the date, in the winter it can stay dark until 8.30am and get dark again by 4pm. For more information about building your itinerary and about each of the stops along the way check out this guide. Other than booking accommodation, which I'd advise to do as soon as you can as they can fill up fast, and also making sure you can fit in your must-visit attractions, you really don't need to plan extensively, it's so much more relaxing to go with the flow, stop when you fancy, take a detour if you wish and stop for cake if you find somewhere nice. Once you know where you want to stay you can begin to look at accommodation. You can see some of the options here . There is something for everyone, including wooden wigwams, cosy B+B's, five star hotels, campsites and guest houses. Be aware of the Highway Code before you drive in Scotland. We drive on the left hand side, with the steering wheel on the right hand side of the car. There are all types of roads along the North Coast 500 route, from smooth two lane roads to single track roads with passing places. Google single track roads before you leave so you are familiar with how they work and how to use the passing places. Basically the roads are narrow and there are passing places dotted regularly on both sides of the road. If you are driving and the passing place is on your left it's up to you to drive into the space and let the oncoming car past. Another situation might be if a car wants to overtake you. Don't be awkward and make them wait, pull into a passing place on your left and let them past, remember it may be a local in a hurry or even a doctor or vet. If there isn't a passing place on your left but one on your right park opposite it so the oncoming car can pull into the space to get past. If you meet another car head on and the passing place behind you is easier to get to than the one behind the other car then you should reverse so make sure you are comfortable doing this before you tackle these roads. Be considerate of the other vehicle, if they are towing a caravan it might be easier for you to reverse. One more things - Don't park in a passing place, the scenery may be beautiful and you may want a photograph but doing this is a serious no no. Take care when the roads are wet, like anywhere they become slippery. 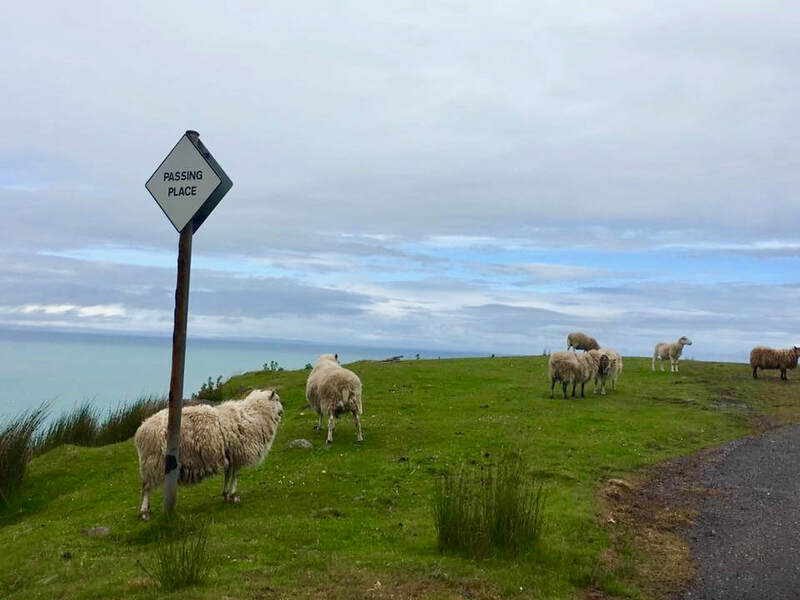 There are also sections of the route where you'll come across animals which aren't fenced in, just take your time, slow right down and be aware that they might dart in front of the car. Once you get the hang of the single track roads you'll begin to feel comfortable and as long as you remain alert there is no need to be anymore anxious than when using any other road. Don't forget to thank your fellow road drivers, we had great fun guessing who the other drivers were depending on their style of wave, once you get on the road you'll know what i mean. 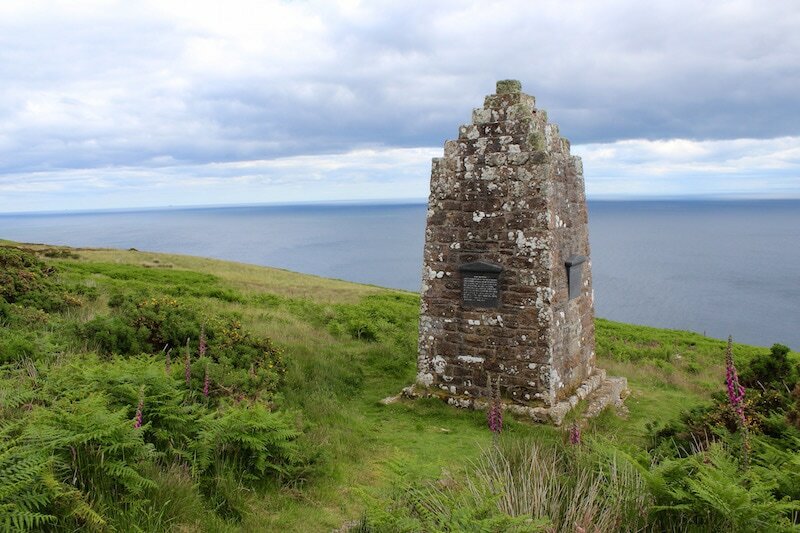 Now you've reached the top of Scotland you can spot Orkney as you drive along the coastal route. Take your obligitory selfie at the signpost in John O'Groats but not before stopping at the most northerly point - Dunnet Head. Jurassic landscapes around every corner of this section, take a break at the beautiful Inverewe Gardens and end with a famous Lochinver Pie with tatties and peas while watching the sunset over Lochinver Bay. 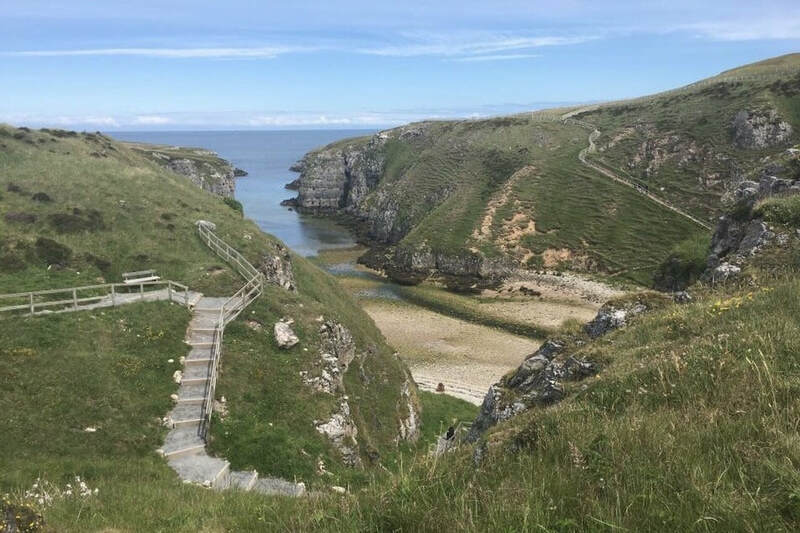 End the route with a relaxing drive back down the east coast where you'll pass lush green fields, the abandoned village of Badbea and the Royal Burgh of Wick with the shortest street in the world. Wow, this section will blow your mind. The scenery and beaches are outstanding and just get better and better. 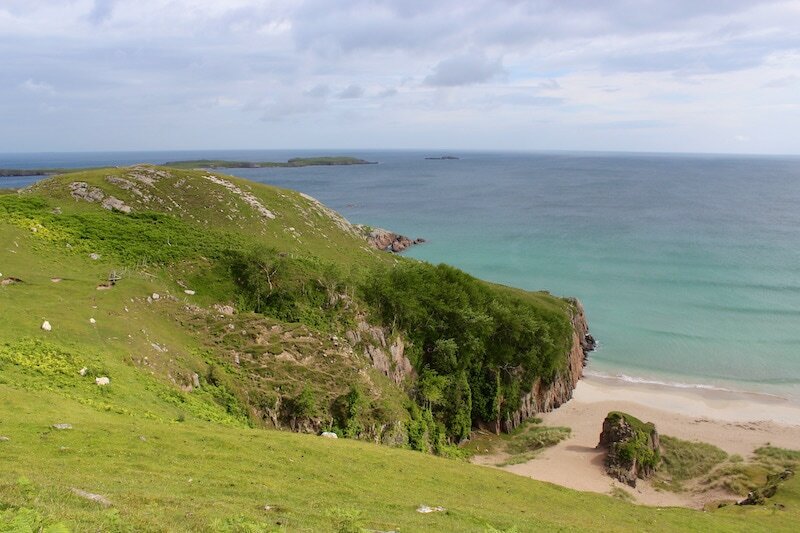 Look out for Alcmelvich Beach and the rocky sparce landscape of the Assynt. Looking for North Coast 500 accommodation? Whether you want 5 star luxury or a cosy B+B the villages and towns along the route have plenty to offer. You can also camp beneath the stars or find something a little quirky.